You keep hearing you need to add images to your content. It increases engagement and conversion…It makes your posts more read-able. But who has the time and resources to scour through stock photo websites to find something which doesn’t look, well, so stock photo-y-ish? And besides, they cost money, and often that special photo is super expensive–beyond your budget. And getting out a fancy camera or hiring a professional photographer? Who has the time or money for that? This was my problem too. People complained when I used stock photos. “We want to see you” they’d say. Or a variation “We want to see real photos from your vacation” I have to admit I was hesitant at first. I didn’t want to break down the wall between my personal life and my professional life. But then I found a middle ground. It may not be for everyone, but it has worked well for my businesses and me. I started to use my phone to take photos. I learned that by using something as close as my iPhone I can quickly and easily create images for my businesses. Visual communication isn’t new; we have been doing it since the dawn of time. What’s new-er is the Internet. And it requires different techniques for visual communication than chiseling our message in some rocks. It requires photos, a lot of photos. Why use photos of your employees, products or services? One of the best reasons for using photos is that they increase your customer engagement. This is because our brains process visual images faster than words by using different neural pathways. This means that when you include pictures your clients will understand what you are saying faster and be using more of their brain to connect with your content. And it’s not just me saying this. Social media examiner devoted a whole podcast to the issue. Why would you want to use images you create yourself? Using your own images conveys to your client who you and your brand are. You can spot stock images a mile away. Stock photos can’t show people exactly who you are. How can you create compelling photos without taking too much time? The simple answer is just start taking photos. Think about your avatar, you ideal client. What would interest them? Make a list of images your ideal client would want to see, or images that will support what you are communicating in your content. When you see something that supports your brand, your content or whatever your ideal client would like to look at– take a photo. In fact take a few, from different angles, so that you’ll have something to work with later. A good example of this is HubSpot. They created a bunch of homemade ‘stock’ photos to help with their marketing. Since HubSpot’s clients are small to mid-sized businesses they simply went around the office and photographed their workers ‘in their natural environment’ – at desks, using computers, working in conference rooms, and using the copier. You get the idea. They photographed their ideal client at work. In less than an hour they created a handy file of ready-to-use photos that they can use for the rest of the year. And the photos are real photos of real employees. This might be a bit awkward if you are still working from the kitchen table. In that case you may want to gather natural images- clouds, grass, ocean views, etc. when you take a walk or on vacation. Look through your vacation photos – do you have any which can be repurposed? 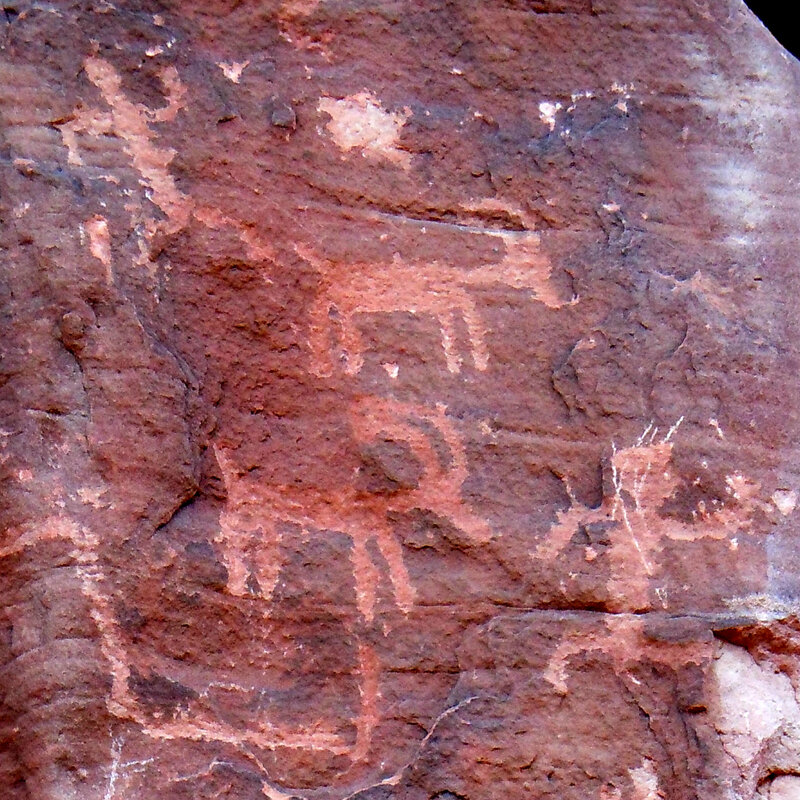 Did you see the petroglyphs at the beginning of this article? They were a snap shot I took while talking a walk on vacation. 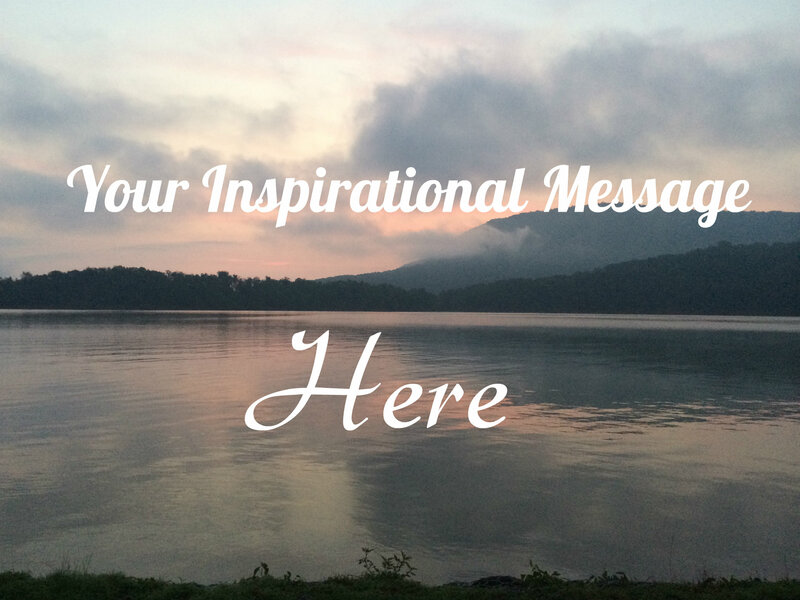 You can repurpose images into inspirational messages. You can re-purpose photos into inspirational messages or collages. No body does this better than Melanie Duncan. She often takes photos of her products, her manicured hands and her life on the road to use in her blog or social media campaigns. She then combines them with text to create compelling images. Images that make you say ‘I want to sign up for what you are selling so that I can live your glamorous life’. You couldn’t get that feeling from a stock photo. It’s easy to edit your photos the same way she does– with free on-line photo editing services such as iPiccy or PicMonkey. They have easy to use tools and tutorials to get you started. There are a few problems with using your phone’s camera. There are some problems with the camera app and sensor that come with the phone that you should know about. First, the image sensor on your phone is very small: • This means that it takes a small photo; when you enlarge the photo it quickly becomes pixilated and blurry. It’s best to capture what you want in the photo from the beginning instead of cropping it severely afterwards. • The small sensor also makes it difficult to take photos in low light. And forget the flash- it’s even worse. Instead take photos during the day using natural light. Whenever possible have the shadows fall behind your subject, to get the best possible lighting. Often times the app that comes with your phone is inadequate: • The native apps don’t allow you to control light and focus at the same time. These are the two main components of a photograph. (exception to this is the iPhone 6) • Instead use an app such as Camera+ . This app allows you to take photos while controlling the light and focus with a simple touch of your finger. Use it and your pictures will look so much better. Many Photo apps including as Camera+ allow you to edit your photo quickly. Don’t skip this step, you may be surprised at how much small edits can improve your photos. It should take less than 3 minutes to edit your photos once you learn how to work the app. • Simply open the photo inside the app. • Crop, straighten, and adjust the lighting by taping on the screen. Most apps have presets that allow you to easily see the changes; you can undo them if you are unhappy with the edits. Select the edits that please your eye. There are no hard and fast rules here. • If you want to adjust the mood of the photo, simply try out one of the filters. Once you find the look you are going for save the photo and its ready to be used. It’s time to get snapping. You know you need more photos to add to you blog posts, your Facebook posts and your Twitter feed. Now you can quickly and easily get as many photos as you need at no cost! Simply take you photos during your next walk, around the office or other scenes that your customers care about. Don’t’ forget to edit the photos afterwards- so that you have the best possible image. And store in a handy file so that you can access them for your next project. Collecting photos this way helps you accumulate a pile of custom ‘stock’ photos painlessly. Before you know it you will have a folder full of ready-to-use photos– ones that truly express you and your brand. By including custom images in your social media and blog posts you will increase reader engagement. You will set yourself apart from the others. People will engage with the real you. This guest post was written by Sarah Kohl, founder of Journey Smarts. Sarah runs the business Journey Smarts, showing people how to travel happier and healthier. She has a free report: Capturing the Moment With Photos so That Others Can See It The Way You Do, complete with 5 quick and easy tips for improving your travel photos. 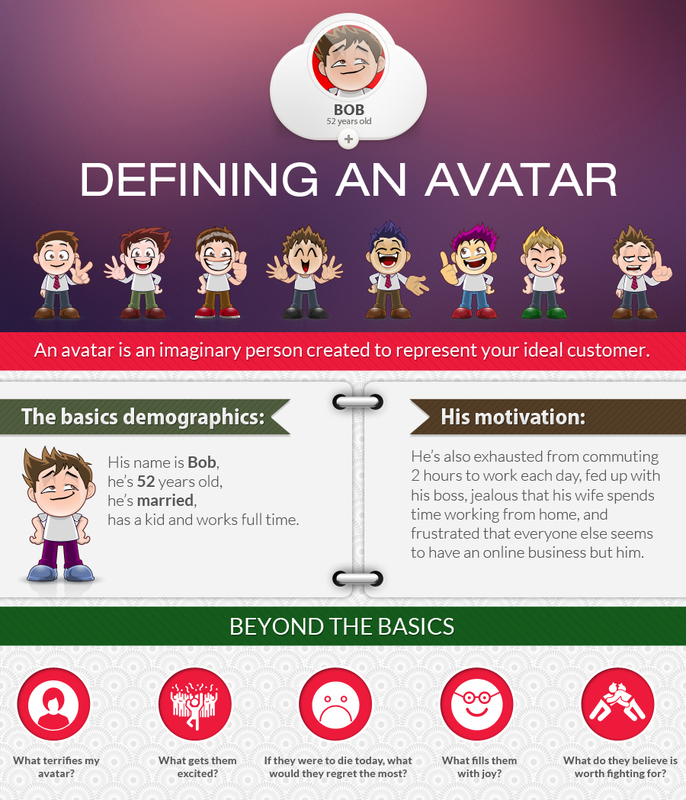 An avatar is the single-most important marketing and branding tool that you’re not using. You may have heard coaches talk about your “target market,” which is another important element in building your tribe online. But when working to build deep, lasting connections with online customers, an avatar is the more effective tool. So what is an avatar, anyway? Simply put, it’s an imaginary person created to represent your ideal customer. Let’s take a look at my avatar for The Boomer Business Owner. His name is Bob, he’s 52 years old, he’s married, has a kid and works full time. Basic demographic information like this will help you begin to target certain customers over others – for example, you may choose to interact on certain social media platforms and not others based on your avatar’s age, marital status, or employment situation. Basic facts like these will help you find your customers and hang out where they hang out online. This is the point where most people stop. They figure “I’m targeting divorced women in their mid-30s” and leave it at that. This is the exact point, however, when more work needs to be done on your avatar in order to turn casual online acquaintances into paying customers and members of your tribe. Bob’s not just 52, married, and gainfully employed. He’s also exhausted from commuting 2 hours to work each day, fed up with his boss, jealous that his wife spends time working from home, and frustrated that everyone else seems to have an online business but him. In short, Bob has an urgent problem that needs solving. Bob is in pain, and he’s at the point where he’s ready – even desperate – to pay someone to take that pain away. If they were to die today, what would they regret the most? What fills them with joy? What do they believe is worth fighting for? Now, all of these questions aren’t merely an exercise is pop psychology. The answers to these questions hold the key to everything – absolutely everything – that you’re doing to promote your business online. Pinpointing your avatar’s worst fear will unlock clues as to how you can help them. For example, Bob is terrified of technology. The truth is that sometimes he still gets confused using email, so how could he possibly start an online business? Since I’ve tapped into Bob’s fear, I can now solve his problem every time I write a blog post, craft an email blast, or interview a guest on my podcast. Each sentence I write and each question I ask my guests is presented in a way Bob will understand, and serves to ease Bob’s technological fears. Imagine that you’re going to write a book for your target market. As you begin to think of the different needs and wants of your audience, you become so overwhelmed that you almost decide to quit the project altogether. After all, how are you supposed to cater to the needs of hundreds, thousands, even millions of people? The secret is that you don’t have to please millions of people – you only have to please one. 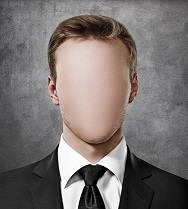 Instead of writing a book (or a blog post, or a tweet) for your entire target market, write a book for your avatar. Make every sentence a private conversation between you and your avatar alone. When you create a specific avatar, you appeal to people on a human level. You connect with their fears, their hopes, their innermost passions. When you speak to the passions of a single avatar, you inevitably appeal to anyone and everyone who shares those same passions and fears. The broader your target market, the harder you’ll have to work to connect with your tribe on a soul-level. Use your imagination and create an avatar who desperately needs and wants what you have to offer. But won’t this technique limit you to only certain types of customers? Yes. But only to the types of customers that are ready to get out their credit cards. You can spend a lifetime chasing after people who may or may not resonate with your brand. Or, you can create an avatar, target a single person, and watch as your tribe magically emerges all around you. This guest post was written by Charlie Poznek, The Boomer Business Owner. About 8 years ago I wanted to write a book about the American dreams of Latinos in the US. For some reason or another I never got around to it. But the idea and the passion for someday doing something about this never left me. 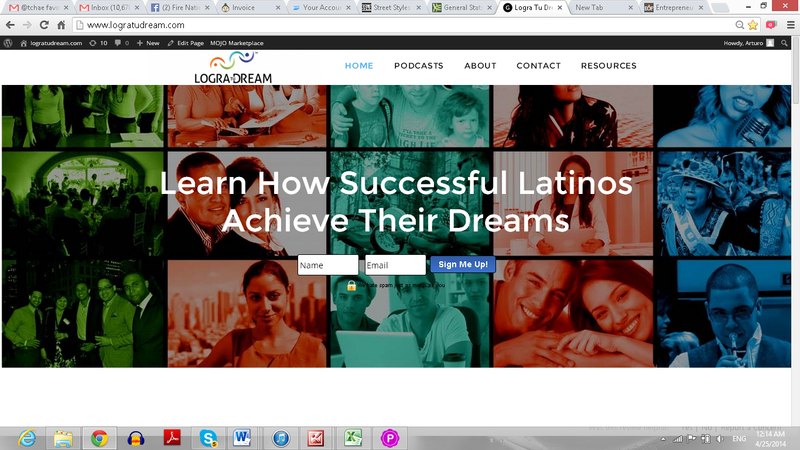 The good news is that in the next couple of days I am launching the Logra Tu Dream podcast and online platform to help Latinos achieve their American dream. This is my story of how I developed this podcast and platform from scratch being a total newbie to podcasting and online marketing. After living for 17 years in the US I have been deeply inspired by the stories, the struggles and triumphs of many Latinos and their children that are pursuing their dreams of a better life for their families in the US. I saw that many times standing in the way of their dreams was a lack of access to inspiration, mentorship, business advice and tools from successful Latino and Latin inspired role models. I have realized that my mission is to do my part in helping other Latinos achieve their dreams of securing a better future for their families and growing their entrepreneurial businesses. Then I started listening to podcasts in 2012, sometime in 2013 I started listening to John Lee Dumas Entrepreneur on Fire podcast. I was incredibly inspired by John and the stories of his guests- top entrepreneurs that have overcome failures to achieve fantastic success. I couldn’t get enough of the podcasts. At the time I just started Marketealo my consulting company focused on helping companies navigate and win in the Latin influenced market through innovation, brand development and strategic marketing. The Entrepreneur on Fire podcast became like my daily dose of entrepreneurial inspiration and fuel. Through it I learned about other great podcasts like the Solopreneur Hour by Michael O’Neal, Lewis Howes The School of Greatness, Jaime Tardy’s Eventual Millionaire and Patt Flynn’s Smart Passive income among others. I became a podcast junkie. The more listened the more I wanted to learn about how to become a successful entrepreneur, how to podcast, how to do great online marketing and how to build wealth. It was like getting another mini-MBA but better as podcasting was much more inspiring, engaging, and actionable for today’s world. I also got to know albeit virtually the different podcaster entrepreneurs really well. They were authentic, hard-working, kind and giving people. The world would be a much better place if they ran the business world I thought to myself many times on my commutes, and my runs when I listened to the podcasts. Slowly but surely my desire to start my own podcast grew, my gut told me that it was something I could do well and after all I had mission just waiting to be fulfilled. After a few months I decided that I would do a podcast and after some soul searching my passion for helping Latinos and Latinas achieve their American dreams resurfaced with a tremendous force. I knew that podcasting was the perfect medium to accomplish the mission. At that point the idea of Logra Tu Dream was born. Once I had an idea that I was incredibly fired up about I knew that in order to make it happen I had to take massive action. It was time for me to put into practice everything I learned from the podcasts. I also had learned that to be a successful podcasters I could not do it alone. I knew I needed to find a community of podcasters and entrepreneurs that could help me to make my dream a reality. That is when I decided to email John Lee Dumas and applied to The Fire Nation Elite Mastermind group. A fantastic group of highly motivated , talented and passionate entrepreneurs. Many of them have very successful podcasts that you can find on the top slots of New & Noteworthy in iTunes. I got to know many of these entrepreneurs and was inspired by their passion, drive and stories. They pushed me to make my podcast launch a reality and shared advice, encouragement, technical knowledge along the way. Without them I would have been totally lost and would not have known were to start. My idea was very clear from the start I wanted to help Latinos achieve their dream. My target audience was very clear too it was Latinos and Latinas from college age to mid-career age that had an American dream that they were pursuing or wanted to pursue. The brand idea and target would be the heart and guiding light for my brand. First I brainstormed for a name that would bring this concept to life in a compelling, relevant way with my target audience . From my extensive work in the Latino market I know my target very well. Not only I am in the target but have worked on many marketing and innovation projects focused on them. I know that Latinos and Latinas are bicultural and live both in the Hispanic and Anglo worlds. Spanglish is a dialect they use and connect with at a deep level as it is their dialect. So I decided to choose a name in Spanglish, I came up with the simplest expression of what I wanted to achieve “Logra Tu Dream” which means achieve your dream in English. I chose it as it is a call to action to Latinas and Latinas to achieve their dream and because the Spanglish would connect very powerfully to. I was deliberate about having the word dream be in English as the dream is an American Dream and the Logra tu (achieve your) in Spanish as this represented our Latino roots and drive. I rushed to get the urls and the all of a sudden I was on my way to make Logra Tu Dream happen. Then I also filled a trademark on the brand to protect it. Once I had a name that loved I started thinking about the logo and the design. I love my Marketealo logo as it uses like a colorful wave form that represents the passion, diversity, colors and flavors of Latino culture. So I knew I wanted to use it if only I could find a way to fit my brand idea. Simple, elegant , powerful and on brand. Just what I wanted, a logo that represents the path that Latinos and Latinas take towards pursuing their dream. A path that is full of passion, life, family, diversity and color. I knew I wanted a very visual website so I asked my mastermind group for recommendations and did my own research to find a word press theme that would be both visually impactful and customizable. Many people recommended the Genesis framework for its great performance and beautiful themes. I went ahead with Studio Press for Word Press, and picked the parallax theme that runs on the Genesis framework because it was very visual and different from others I have seen before. For the website design I wanted to bring the brand idea to life in an impactful and very visual way. I came up with the idea of doing a collage of different Latinos and Latinas at various stages of pursuing their dream using a filter with the colors of the logo. This would represent all of the dreams that the podcast would help to reach. Norman Batts a talented infographic designer I had worked with before developed the collage. 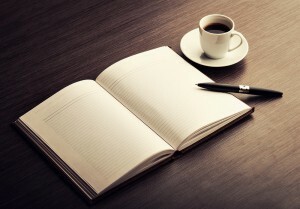 To be able to build a list of your audience which is the life-blood of any endeavor. I went ahead used AWeber for the email opt-in and to automate the process to send out emails to provide content and value to my audience. It is a great solution that gives you all the email marketing capability you need for a very low monthly cost of about $19. For the actual opt-in boxes/forms that I put on the website I used Hybrid Connect which offers great flexibility to build opt-in forms and slide-ins that look great and are easy to install on WordPress. I fumbled a bit at first trying to create and install the forms but once you get the process it is very easy. I decided to focus on one social media platform as I have limited time. So I choose twitter as it has been proven to be the best platform to build a podcast audience. Michael O’Neal from the Solopreneur Hour has used a twitter strategy which I am emulating very successfully to drive traffic to his podcast. It consists of tweeting your current and past episodes throughout the day with hash tags of relevance for your audience and episode theme with a link to the episode on your website. I decided to do all the components of the podcast production myself to learn the process well and to keep to my shoestring budget but I ended up spending way too much time and encountered significant frustration. If I were to do it again I would sign up to Podcasters Paradise . It is the best resource out to there to learn how to create, grow and monetize your podcast. It is run by John Lee Dumas the authority on podcasting and the host of Entrepreneur on Fire the #1 business podcast in 2013 and in my opinion one of the best podcasts you can find anywhere on any category. John is a down to earth entrepreneur that invests tremendously in the Podcasters Paradise community so you’ll get much more than your money’s worth here. Guests: I made a list of the Latino/a and non-Latinos I wanted to get on the program that I either I knew of or heard/read about that had great stories and a ton of value to offer my audience. I got feedback from fellow podcasters on the best way to craft an email to reach out to these guests and have a higher probability of them accepting. I crafted an email with the invite that laid out the mission of the podcast, the interview guide, a google form to capture their bio, skype ID and picture . Then I made it easy for them to book a time on my calendar. For this I used Schedule me Onc e which is a great service in which people can easily pick a time on your calendar out of pre-determined time slots you give them. It costs a few bucks a months but it is worth, also there is a new service called calendly which is free and it is great too so I might be switching soon. Interviews: I conducted most of the first interviews over skype using the Pandora call recording software which is only like $30, it records automatically and it is very easy to use. For the format of the interview I made it to fit my personality and the purpose of the show. I made it kind of informal but with important questions that would get at how successful Latinos and Latinas achieve their American dreams. Equipment, Editing and Music: I decided to totally bootstrap my podcast so I just bought a good headset with a decent microphone for around $30 some dollars which is not ideal but will work for the first couple of months and then I’ll switch to a better microphone. For music it was all about the music that would reinforce the brand and the tone of the podcast so it had to be inspiring, uplifting and motivating. I went ahead and found a great piece for $30 at a website that sells royalty free music so you don’t have to worry about any royalty payment or anything. I highly recommend doing this you don’t want to pay royalties or get a cease and desist letter from some record label. For editing I decided to learn how to do it myself to avoid editing costs. I did some YouTube research on how to use Audible the free editing tool and started dabbling with my podcasts editing for hours until I got a hang of how to do a decent editing job. I managed to edit my first four podcasts and developed the intros and outros myself to where I was happy with the outcome. It took a lot of time so here is where you might use some professional editing help to get better results and do it much faster. Hosting, tagging and posting to iTunes: This was the hardest part as it is a very confusing , frustrating and time consuming process which I’ll spare you. This is why I recommend to just join Podcasters Paradise and save yourself a ton of frustration and lost time. My launch process was by no means ideal as there are more powerful ways to get out with a bigger bang if you invest some money in facebook ads, take more time to build a larger social media following (had 400 twitter followers at launch) and do promotions to start building your email list before launch. Again I was doing it on a shoestring budget and I was challenging myself to succeed this way. I prepared show notes and loaded them along with my podcast feed to the website (after submitting feed to itunes) and waited for iTunes to give me the green flag. Once I got the green flag I shared my itunes podcast link with my mastermind group , my friends, family, guests on the show and on twitter. I asked my friends, family, my mastermind group and some guests for ratings, reviews and subscriptions if they enjoyed the podcast. These three factors comprise the secret iTunes sauce that can get you on the New & Noteworthy lists for 80 days. So it is very important that you try to get as many as you can and try get the podcasts in front of as many people as possible. If your podcasts gets sufficient momentum in terms of downloads, ratings and reviews then you’ll make the New & Noteworthy lists and you’ll have a shot at making your podcast a sustainable platform if you consistently over deliver value to your audience. It is a great start but only a great start I will need to deliver consistent value to my audience and promote the podcast effectively and consistently to build a big enough audience to develop a successful podcast platform. Was it fun?, you bet it is one of the most exciting, challenging yet rewarding things I have done in my professional life. If you are passionate about building a podcast platform and have the determination, the time and the patience to do it you should go ahead as the rewards and professional satisfaction that you can get if you become a top podcaster are outstanding. 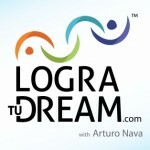 This guest post was written by Arturo Nava, Founder of the Logra Tu Dream Podcast. Founder of the Logra Tu Dream Podcast. Why use use an animated video? It captures immediate attention! A little humor goes a long way! It makes people feel good. Animation gets the happy endorphins going. When you can put someone in a fun, happy mood they are open to your suggestions and more likely to buy from you! You have 7 seconds to capture someone’s attention! Blogs and emails are skimmed over. A visually appealing story will grab your audience and keep them engaged! A quick powerful video will help you stand out in a crowd! You will dazzle and delight your audience all in less than 90 seconds! Video marketing is mandatory to getting your message out in today’s market. A PowToon is an alternative to the typical talking head video. It can be used in your arsenal for your video branding. It used to cost thousands of dollars to produce an animated video, you would need a lot of equipment, producers and a studio. Now you can do it yourself or hire a PowToonist to save you time to do it for you! Who uses animated storytelling videos? Entrepreneurs, authors, store owners, non profits, real estate agents, landscapers, lawyers, media and educators! A great way to add video content for the camera shy individual. Don’t feel like getting all dressed up to go in front of a camera? Hire a PowToonist to get your message out there! Everyone can benefit from this powerful fun marketing strategy! Where can a PowToon be used? Everywhere! It can be used on all social media, websites and emails. It supercharges courses and business presentations. In the classrooms! What can these awesome video messages be used for? A great way to keep reminding people of your brand and mission. Ramp up your credibility! Break through the noise and the clutter! They can be used in a Twitter Tweet! (The first one I sent got top tweet with a real estate#) Start the buzz before you launch your new book, website, product or business. An engaging way to use as an amazing tutorial. Send out a call to action, promote your webinar, use as an optin or add to your Squeeze page.Trying to get someones attention with a boring email? Send a PowToon and get a response! Storytelling is a great way to get your message out. Spice up your boring blog. It will boost your SEO, give you a higher conversion rate. When you have a video you are more likely to show up in the first few pages of a Google search! This guest post was written by Maureen Murphy, founder of toprealtorproducts.com. *Special Offer* Contact Maureen for a free professional consultation for your captivating, customized Animated Videos! Maureen recently started producing PowToons for herself and her clients with her PowToon agency. It is a powerful way to get your story out and watch your business EXPLODE! When you begin in the online business world, you do it all yourself. Then you hire some help with the notion that you possibly might not have enough work for them to do. Then business snowballs and suddenly you have a general VA, writers, web designers, accounts and tax, SEO teams, eBooks, affiliate programs… It can all become a big mess very quickly if you are not on top of it all! The key element is to have a system in place. This is your virtual machine and you can only achieve true virtual freedom if your machine ticks over just fine. Most of the work can be handed over to your general VA, but you still have to be involved. It is your money after all. When you have made the decision to hire multiple virtual assistants, they will most likely have a specific set of tasks related to their roles. These roles and tasks may overlap or be entirely independent of one another. The important thing is to delegate their tasks according to their strengths. Having multiple virtual assistants can make your business run very efficiently, provided your time is not spent micro managing your virtual staff. It is advisable that the most qualified, experienced or longest member of virtual staff assumes the role of manager or supervisor. Rather than spending your personal time delegating tasks, assign this task to one VA. This VA will delegate assignments and ensure that each person is performing to high standards and meeting deadlines. Utilize project management software (such as Google Calendar, Snag It or Dropbox) to eliminate confusions and miscommunications: the information will always be available online. 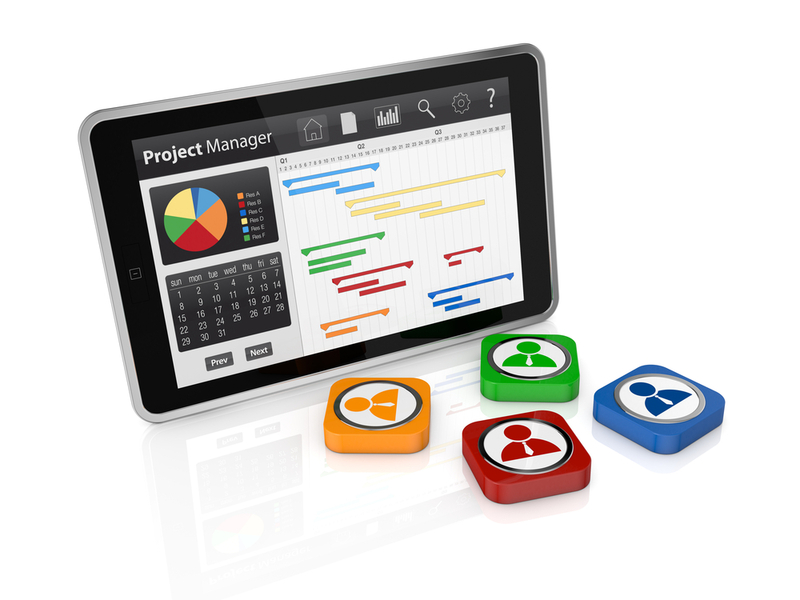 Project management is necessary, but can be complicated by an army of staff. It doesn’t matter how big or small your projects are, handling every aspect of it can be tricky and time consuming. When you have multiple people working with you to complete your projects, it can be challenging making sure everyone knows what to do and how to do it along with reaching deadlines, which is why this role should be assumed by a VA. Many business owners make the common mistake of micro-managing staff. This can be detrimental to the business as your focus is distracted by the small details your staff should be taking care of. Provided the overall assignment is completed to a high standard and on time, your virtual staff should not consult you regarding every detail of the project. Schedule a meeting with your head VA ahead of any important project where any issues can be straightened out in advance. Encourage them to ask questions ahead of time so they have an understanding of what is expected. For ongoing assignments, promote the idea of saving any non-emergency or non-priority issues until your next scheduled teleconference or Skype call. With practice, this process will become more and more effectual. Thanks to the various modes of communication now, we can stay in contact with people very easily. In addition to e-mail and Skype, we have texting and instant messenger as efficient and fast facets of corresponding. This is a great way for virtual assistants to ask a quick question or bounce an idea off of you. This also helps maintain a working relationship and keeps you accessible. Although this constant stream of communication is great, it can also have adverse effects as you find yourself being constantly bombarded with questions. Limit checking e-mails to twice per day, or have a certain period during the day when you will be available to answer any questions which are not urgent. Obviously, if there is a pressing problem, this should be resolved as quickly as possible. Otherwise, a short team meeting once a day should suffice for any queries and updates on the progression of assignments. Gone are the days where there were hard copy files of projects. We now have “clouds” thanks to information technology geniuses where we can retrieve a file from a virtual file cabinet for easy access. This allows file sharing easy and creates efficiency among virtual assistants and employees. Each employee should have a unique login and password for security purposes. Utilize the latest technology and embrace it as an essential tool for your business. Treat your VA like an in-person employee by providing them with a detailed job description. There are ways to set guidelines while at the same time allowing your virtual assistant the liberty to work in their own way. Ensure that VA’s understand the importance of meeting deadlines, and outline repercussions for repeated poor performance. If you recognize consistent poor performance or mistakes being made repeatedly explain that this behavior is unacceptable and outline the repercussions for recurring failure to perform. It is also very important to praise your VA for outstanding performance, particularly if they are meeting targets. Employees who feel they are not rewarded for their efforts may become disillusioned with their position, and their performance will suffer as a result. When you first hire a VA, it may be beneficial to do random spot checks on their work, and check over their progress on a daily basis. If they are aware of your expectations of them, they should meet them during the initial period of employment. Once you get the ball rolling and begin to hire more additions to your team, make sure you are training your general VA along the way. This will mean you can pass over your tasks and achieve virtual freedom with you team. As your business develops, so will the numbers required to manage and run it. Have systems and processes in place to ensure that from hiring through to completion of a project, your staff know what is expected of them and how they will be rewarded. Things can be a little hectic when you manage a big team but the job title of every true entrepreneur is really just ‘project manager’! This guest post was written by Chris Ducker, founder and CEO of Virtual Staff Finder and Location63. Chris Ducker is a successful entrepreneur, blogger, and podcaster known for his thought leadership about building businesses and lifestyles that thrive with virtual teams. His highly-anticipated book—Virtual Freedom: How to Work with Virtual Staff to Buy More Time, Become More Productive, and Build Your Dream Business—is available now from all major book sellers. Learn more at VirtualFreedomBook.com. Coming soon to the Internet Business Handbook is a book review on Chris’s book. I was thinking the other day about the difficulties we experience when we’re trying to start our own business, and one of those difficulties is building an audience from nothing. As entrepreneurs, we approach roadblocks, experience detours and even hit dead ends. These things not only ensure we’re as strong as we can possibly be; they also ensure that our business is the best it can be. Lucky for us, there are a lot of guides and resources available that can help us avoid some of these things, or that can help us move past them quicker than normal. I hope this post serves as one of those resources for you when it comes to building an audience from nothing. When you’re building an audience from nothing, a roadblock might represent defining your avatar: you can’t proceed without one. When you’re building an audience from nothing, a detour might represent your journey to finding where your audience is and how you can reach them. When you’re building an audience from nothing, a dead end might represent the realization that your content, products or services don’t solve the pain point your audience has. I have some good news for you: just like when you’re driving in a car, there is always the opportunity to correct course – to see that roadblock up ahead and turn before you’re stuck for an hour; to know what those alternate routes are, or what signs to look for when you have to take a detour; to know how easy it is to make a u turn at the dead end and find your way again. Here are some of the steps you can take today to start building your audience and avoid the roadblocks, detours and dead ends mentioned above. 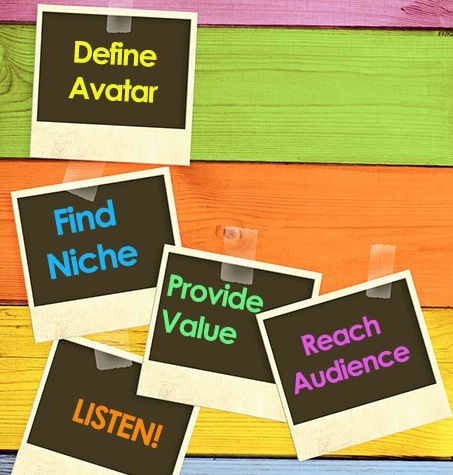 Defining your avatar is what helps create the foundation for your audience to grow. If you are not talking to a very specific person with wants, desires and needs, then you run the risk of talking to no one. Before you start trying to build your audience, be sure you know who that audience is made up of. Not generally speaking – be specific. It’s a person, they have a name, they are a certain age, and they have hobbies and interests. In order to find (and reach) your target audience, you must have a niche. Let’s say I’m going to start a blog for “people who want to lose weight”. There are millions upon millions of “people who want to lose weight”, right? Therefore, my blog will do very well. And because there are so many people in this category, it’ll be really easy to find them. How do you find (and reach) “people who want to lose weight”? What makes finding and reaching these people so difficult is the fact that they could be a 16 year-old girl, a 45 year-old man, or a 80 year-old couple. And they could listen to the radio, not have Internet access, or never watch TV. Doesn’t sound like a very easy market to target, does it? That’s because you’re not talking to a specific person. But what if your blog was still for people who want to lose weight, but it was focused on young women around age 30 who are pregnant (or who plan to be pregnant) and want to be sure they are staying healthy during their pregnancy and are able to lose the weight they gained during their pregnancy quickly and safely after they give birth? Wow, suddenly it became a lot easier to find and reach my target audience! I can easily target these women by joining niche groups online that support pregnant women; or niche groups online that support female fitness for women in their 30’s. You’re not going to be speaking to everyone in these groups. Of course there will be a certain percentage of women in the pregnant online community who don’t need help staying healthy during their pregnancy or with losing the weight afterwards. Likewise, not everyone in the fitness group for women in their 30’s is going to be pregnant. That’s the point, though. You don’t want to talk to everyone – you want to talk to someone. You will resonate with people in those niche groups, and you will be talking directly to your target audience. Another great way to reach your target audience is to find blogs or online resources that women in their 30’s who are pregnant frequent. What about a “mommy blog”, or a website like Babies R Us? Guest posting opportunities or appearances on podcasts are also a great way to get your name out there and reach an audience who will resonate with your content, but who might not know about your business yet. Creating the right type of content for your audience starts with knowing who your avatar is. What types of things does your avatar want to know about? What can you provide them with that will be of value to them that they can’t find anywhere else? Creating the right type of content isn’t necessarily always something that is totally obvious just as soon as you define your avatar, though. What comes next is testing your content to see what it is your audience likes and what they don’t like. A great way to test your content is to keep track of analytics, like page visits to one blog post vs. another, or social engagement when you post about a particular topic. Just be sure you’re setting your criteria prior to testing and analyzing your numbers. An example of this might be if you’re testing content by the number of page visits to one blog post vs. another, then be sure the posts were published on the same day of the week, at the same time, and that you marketed them in the same ways (via Facebook, Twitter, etc.) This will eliminate any variables. Creating the right products and services for your audience comes through surveys and simply listening to them. What are they asking you for? What is their biggest pain point? Once you hear what they’re looking for and what their biggest pain point is, you need to determine what product or service you can create to fill that need, or to solve that pain for them. You write a blog post about the types of exercises you can do after giving birth to help get back into shape fast. Your readers love it, and they leave comments letting you know how helpful it was. There are also a couple of comments from women who loved the content, but they also say they wish they had a visual, step-by-step card that they could carry around with them with the exercises on it that you talk about. Ding, ding, ding! What are you waiting for? Go create that card and have it as a free, downloadable gift for those who sign up for your email list! The best way to grow your library of products and services is to listen to what your audience wants and needs, and then give them something of value that will help them for free. When you’re building an audience from nothing, you have to provide value first. When you do this, you will notice that your audience likes it when you help them. And what happens when your audience likes you? They keep coming back to you for more information. They start to view you as an authority in your niche. They start to like you… They even start to trust you. Building all of these things: a loyal following, authority, an audience who feels like they know, like and trust you – this is when social proof and word of mouth start a snowball effect for you. Suddenly, you’re not stressed out about where and how you’re going to find your audience – you audience is actually going to start finding you. It’s when you have a loyal following who knows, likes and trusts you that you can start offering them products and services that are so valuable to them that they’ll pay you for them. As entrepreneurs, we approach roadblocks, experience detours and even hit dead ends. The steps I’ve laid out above are meant to help you grow your audience from nothing and hopefully avoid running into the roadblocks, detours and dead ends in the process. This isn’t say it won’t be difficult: building an audience from nothing isn’t easy. If it were, everyone would do it. Content Creator and Community Manager for EntrepreneurOnFire. Every failure leads to a greater success. It is this very statement that I live by. 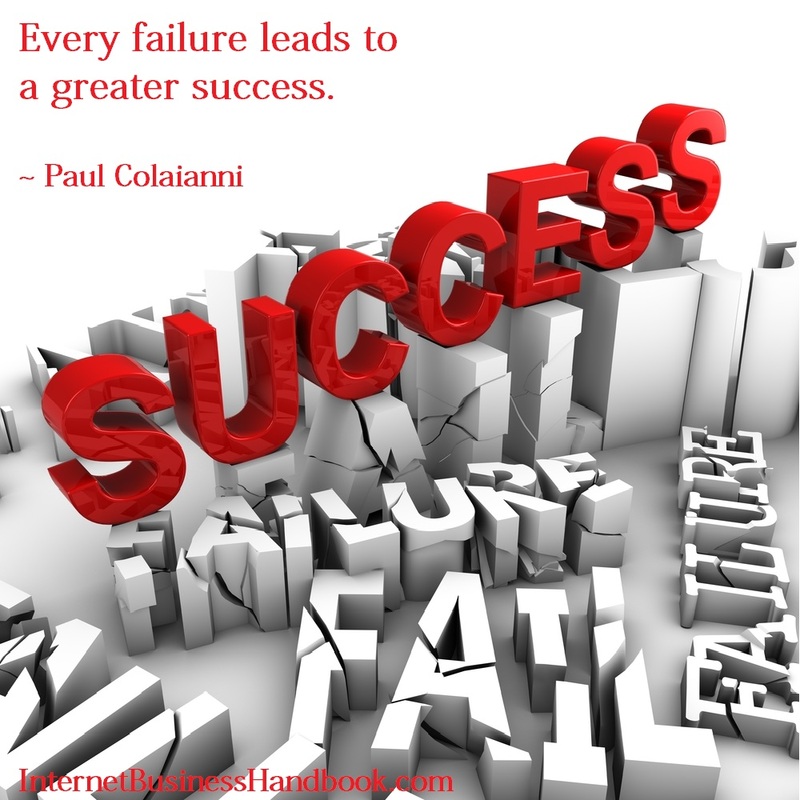 The most successful entrepreneurs accept failure as an integral part of the journey. It is the chance of failure that makes the journey so fulfilling. Your drive, your passion, and your motivation are not driven by the worry of getting fired or laid off. They are about the purity of creation, the dedication to your vision, and the bumps and bruises you are proud to own when things come together. The purity of creation is the wholeness you feel when you invest all of yourself into something you truly believe in. You are creating from the deepest part of you. It is the raw, unfiltered, “you” coming out into the world. We are the most pure at our core. Being an entrepreneur allows that purity to be seen by others. It is this beacon of purity that other entrepreneurs are drawn to. They see and feel it radiating from you. The non-trepreneurs can’t see the light you are shining. It is fuzzy to them. It is “weird”, and they don’t get it. They need you here, with them, staying on the beaten path, hoping they’ll have you as a comrade for eternity. They are not bad people. They are simply following others along another path – one that you have grown tired of. And one that ends where it starts, every day. In the same place, at the same time. The dedication to your vision is the unwavering focus and determination you have when you are materializing your imagination. It is the blank canvas on which you paint your future. 1. Stay where it’s safe and comfortable. 3. I’m so excited for you! Cross out all the ones, and put a question mark next to the twos. Now look at your twos. Are there people in there you don’t believe will ever become a three? If so, cross out their name(s). The people left over are those you want to keep in your circle of influence. These are the ones that support your vision, and get excited to see you excited. You might even want to add a fourth type: people with whom you want to share your ideas and spend more time. You will get your share of bumps and bruises along your entrepreneurial journey. It has to be this way. Every bump is a stepping stone. Every bruise, a lesson. Every time you bang into an obstacle, it comes with the reward of a lesson. The journey can take months or years, but the rewards last forever. There is no growth in a flawless life. The power of belly to belly networking is incredible for entrepreneurs and should be part of every small business marketing strategy. The ability to connect in person can strengthen a business relationship and will always create amazing opportunities. Too many entrepreneurs hide behind avatars today and consider that networking. While social media is amazing and can make a networking event even better, business owners that want to succeed need to get out and meet belly-to-belly. To network effectively I’ve got a proven 3-step process that works even for introverts. First though here’s the most important part of networking that seems so simple, yet is often overlooked. When you’re at a networking event and meeting people, keep your business cards in your pocket. Do not walk up to people with the intention of exchanging business cards. How many people actually do something with those cards anyway? You love getting referrals for your business, don’t you? Everybody loves a great referral and by asking this you’ll learn so much about that individual and make an impactful impression. Remember it’s not a race to collect the most business cards; it’s about forming meaningful beneficial relationships that can create amazing unknown opportunities in the future. Before attending a networking event learn who’s attending the event and connect with them socially, via email and calling when possible. Most events today have a list of the individuals who are attending an event and their social handles. If they don’t go to Twitter and search the events # (Hashtag) to see who’s talking about it. Connecting with individuals before hand is rarely done, but if you’re an introvert who’s uncomfortable at new events this is gold. When you reach out socially beforehand, when you’re at the actual networking event these people will be looking for you. You don’t have to worry about walking around because if you use a recent photo as your avatar, people will be approaching you from your communication socially. When connecting you can use the # (Hashtag) for the event and simply mention the individual you want to meet. Start a conversation online around the event and you’ve now made networking a breeze. Meet as many new people as possible at networking events. Sometimes we fall into the trap of mingling with the few people we know, but always try to meet new faces (hopefully ones you’ve met online beforehand). Take a lot of pictures and share them socially using the # for the event and @ tagging people in the pictures. They’ll in-turn share it with their network and inadvertently many will begin to follow you. Other than sharing socially about the event and pictures, keep your phone off. You’re there to network, so network! The real party is the after-party! The real fun of networking starts after the event. This is when you want to reach out to everyone you met with a thank you email. Connect with them on all social channels and if you can make that perfect introduction for them, now’s the time to do it. Thank the host with a call or email and consider writing about the event so others can learn about it. Lastly make sure to use some type of system to stay in front of people. Reach out every 60-90 days to your network to keep the relationship fresh. Ask if anything has changed in their business and share something that you believe can add value. This keeps you top of mind and opportunities will begin to flourish. 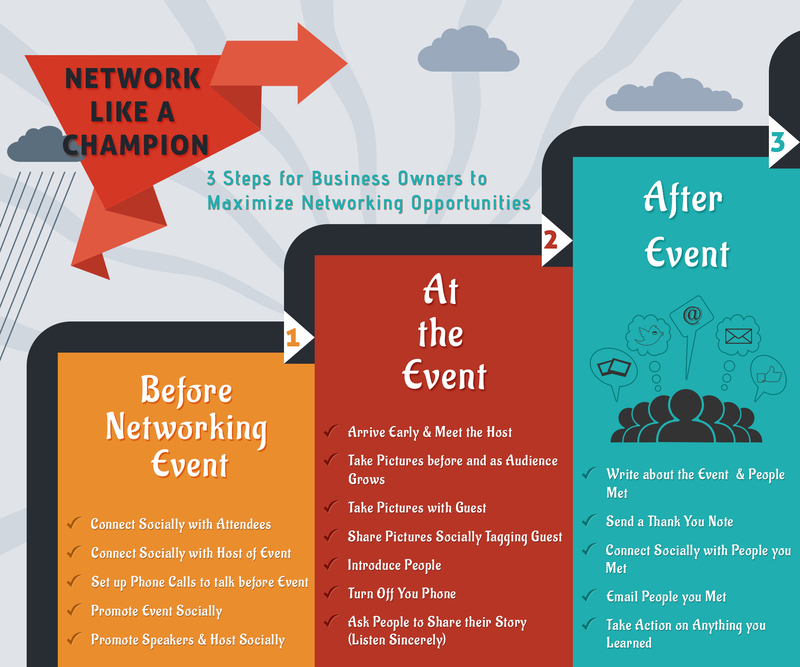 This is a little cheat sheet below with the steps to help you network like a champion at your next event. Now it’s your turn! What’s your favorite part of networking? Wishing Entrepreneurial Successes to all. This guest post was written by Michael Kawula, Founder at Self Employed King. Self Employed King helps small business owners around the country work the Core 16 Strategies that are Guaranteed to Grow a business in 12 months. These marketing strategies helped Mike build a $20,000 a week local cleaning business and also build an annual $3 Million+ Online Business. Connect to learn more about the Core 16.